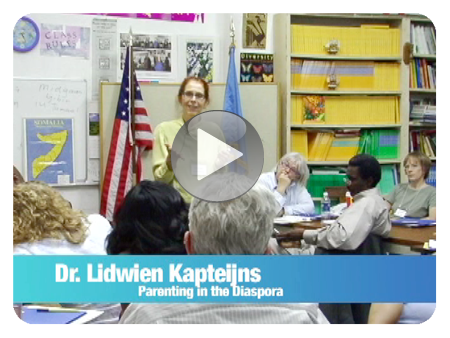 Somali families in Somalia and in those in the Diaspora take many forms. 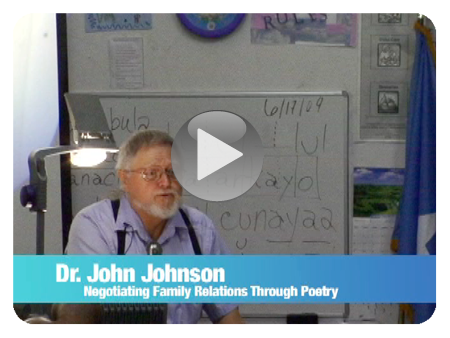 Presenters discuss polygamy, parenting in the Diaspora, kinship and the construction of clan, and the use of poetry to negotiate family relations. 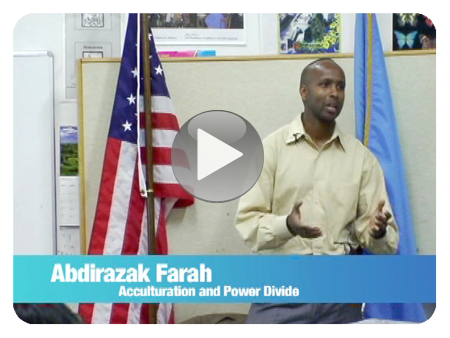 Abdirazak Farah describes how Somali youth become disproportionately empowered vis a vis their parents in dealing with social, education, and law enforcement systems. 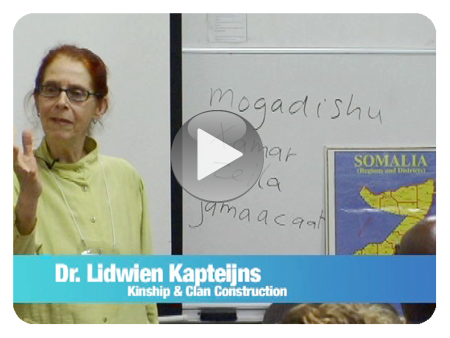 Dr. Kapteijns explains how Somali parents learn Western parenting behaviors of negotiation with children, and the particular importance assigned to Islamic identity. 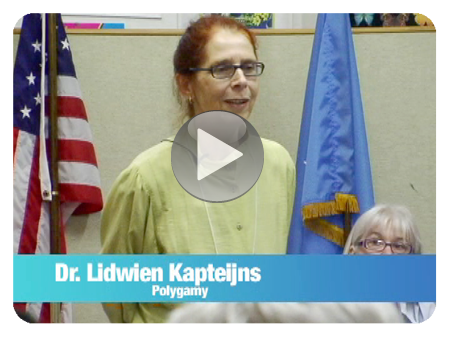 Dr. Kapteijns discusses the traditional importance of polygamy to assure enough children for household labor, wealth, and ongoing lineage.